The Monkey Brush is a striking vine native to South America. This exotic plant grows like a parasite on other plants and trees throughout the jungle. This is an evergreen woody climber vine plant but can be grown as a shrub if trimmed properly. This can be put over a fence, wall, or another tree for its vine nature. This is a medium grower and prefers full or partial sunlight. Leaves are elliptic, slightly bent, and oppositely arranged. Leaves are veined. The flower acts as a natural feeding source for hummingbirds and a resting spot for green iguanas. 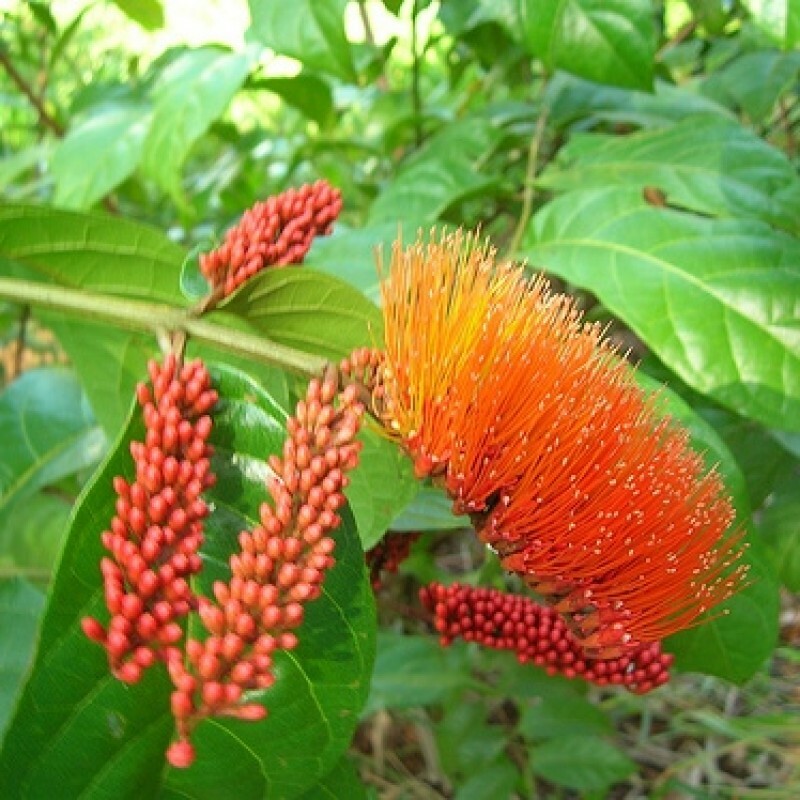 The flower is very bright, a vivid orange color that can easily be seen among rainforest greenery. The name Monkey Brush is believed to have come from the flower's long and colorful stamens.